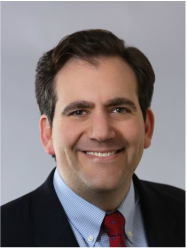 Rustin Silverstein provides strategic policy, crisis management and communications advice informed by a professional career spent in law, business, government, and media. He is an attorney whose practice at a multinational law firm covered all aspects of business transactions, federal and state litigation and advice to clients on federal regulatory matters and white collar criminal investigations. Prior to practicing law, Rustin worked as a consultant for the Boston Consulting Group, a global management consulting firm advising Fortune 500 clients on strategic and operational challenges. While at BCG, he analyzed and formulated solutions to a variety of complex business problems across a range of industries. Earlier in his career, Rustin gained high-level communications experience as a congressional press secretary, television news producer, and presidential campaign staff member. He directed the communications and media strategy for a member of Congress where he regularly communicated legislative and policy issues to policymakers, the press, and the public through the drafting and delivery of numerous press releases, speeches, op-eds and public statements. Upon leaving Capitol Hill, he produced and wrote for the nationally-televised political talk show, Hardball with Chris Matthews. Previously, Rustin also served on the national advance staff for a presidential campaign where he coordinated national and local press coverage of campaign events across the country. Rustin received his bachelor’s degree in Government from Harvard College and his law degree from Harvard Law School. He is a member of the District of Columbia and Arizona Bars. Depending on the nature and the scope of project, the Silverstein Group partners with the best consultants in the industry to deliver comprehensive solutions.